I'm not into this series but I'm pretty sure there will be plenty of interest in this..
With the upcoming release of Final Fantasy XV, an all new CG Movie, Kingsglaive, set during the events of the game will be released. "The magical kingdom of Lucis is home to the hallowed Crystal, but the menacing empire of Niflheim will stop at nothing to make it theirs. War has raged between the two for as long as most can remember. KINGSGLAIVE features an all-star cast, including Sean Bean (Lord of the Rings, Game of Thrones) as King Regis, Lena Headey (300, Game of Thrones) as Princess Luna and Aaron Paul (Breaking Bad) as Kingsglaive soldier Nyx." and check out that gorgeous trailer! and this is why I sometimes wonder why gaming movies aren't made in CGI? Amazing isn't it? 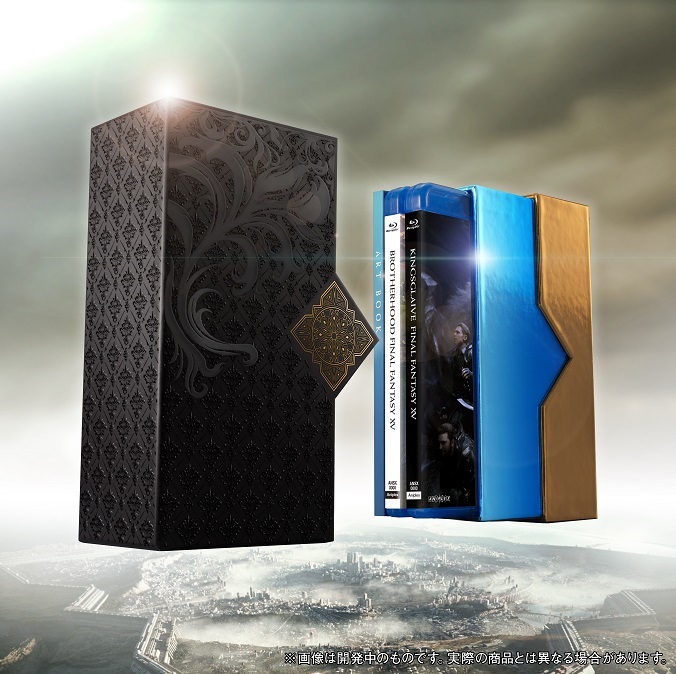 This Kingsglaive Final Fantasy XV movie blu-ray disc will be included in the FINAL FANTASY XV Film Collections Box, which is up for pre-order at PlayAsia now. This set looks to be in a Japan-only release as 'there is no information about a Western release of the Film Collections Box'. At just US$119.99, this is a great bundle for any Final Fantasy fan! Click the Affiliate Link below to make your pre-order! Both movies are also available separately in the links below. Do check out the Brotherhood Anime Movie trailer as well!